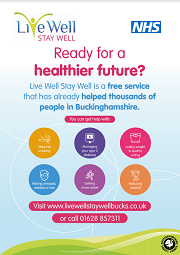 The Live Well Stay Well promotional toolkit provides everything you need to promote the service, including downloadable leaflets & posters, ideas for newspaper articles & social media posts, email signatures and the order form for printed leaflets & posters. 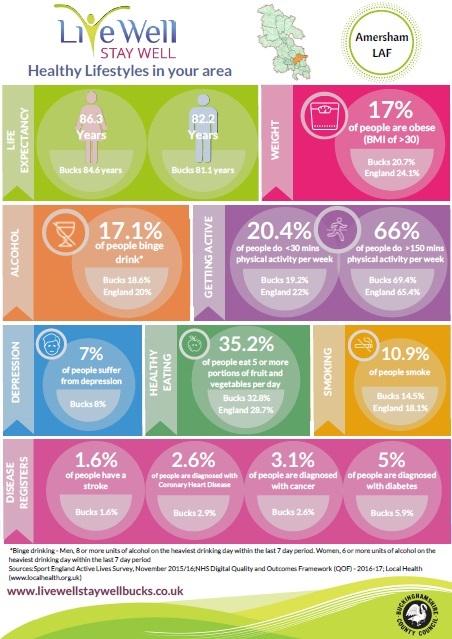 If there's anything missing that would help you, please let us know. 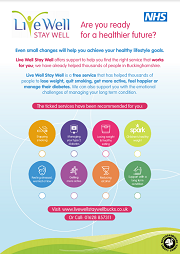 To order leaflets and posters, please complete our order form and email it to parkwood.livewellstaywell@nhs.net. One sided A4 leaflet. 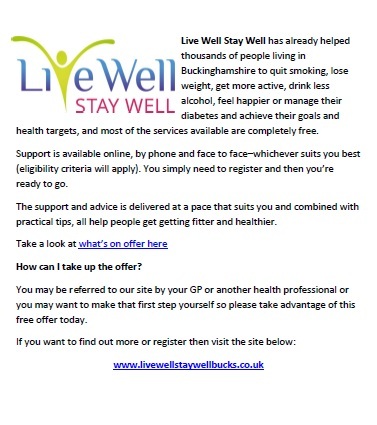 Allows selection of recommended healthy lifestyle area support requirements by HCP's, before handing to clients as a signpost. Double sided business card with basic service detail. 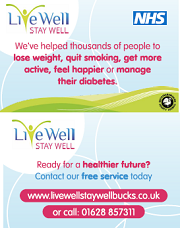 Small and portable so an ideal product for those working in the community, who can use cards to signpost residents to Live Well Stay Well. 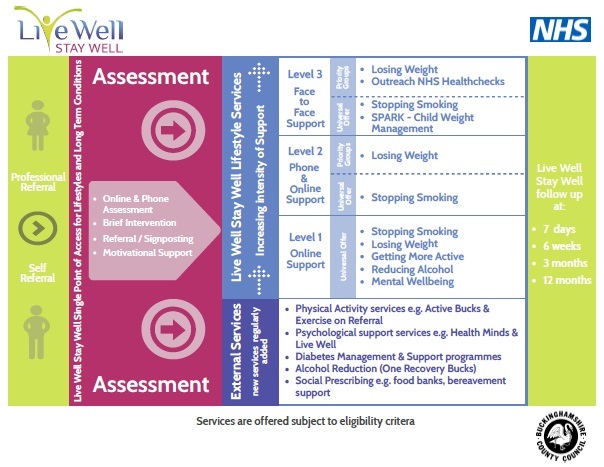 A visual summary of the Live Well Stay Well client journey including assessment, levels of support and follow up. 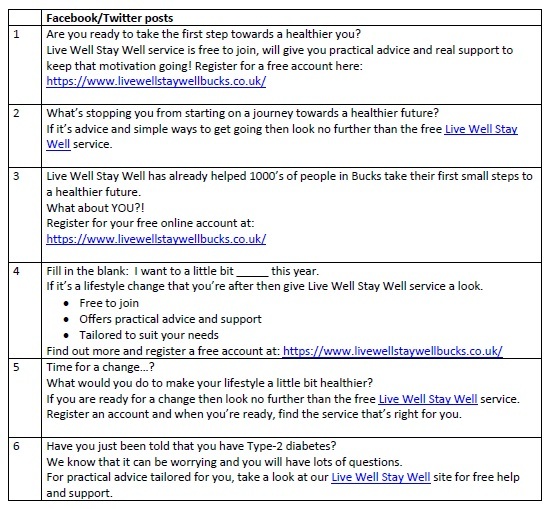 Should you wish to use the Live Well Stay Well logo and/ or any of our sub brand logos, please submit a formal request here. Please provide details of the reason, how and where you want to use the logo. 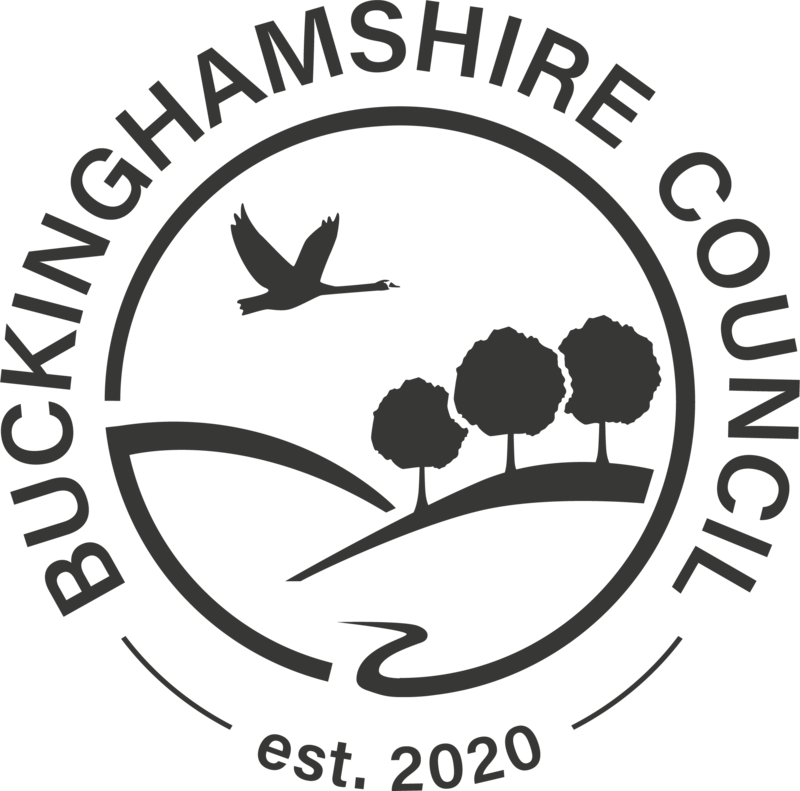 Your request will be reviewed and if permission is granted, you will be notified within 7 working days of your request being recieved and will be provided with a high resolution version of the logo you have requested.